Learn about eCareersFairs career fair software for businesses. Includes info on eCareersFairs, free trials, pricing, and FAQs. eCareerFairs is a free hiring tool available to employers, recruiters, universities, and other organizations. In addition, the free platform acts as an online career fair event listing platform. Job seekers can easily search career fairs in their area by entering their zip code. eCareerFairs costs $1,500.00 per event, with up to 3 booths and 3 recruiters per booth, according to our research. However, the company does not disclose pricing on their website. Pros: Saves money. Has a range of key features to help host large events. Detailed reporting. Cons: The implementation period can be complicated. Bottomline: Affordable and interactive option. Helps streamline event management duties. Is there a eCareerFairs free trial? No, eCareerFairs does not offer a free trial. What are some eCareerFairs alternatives? 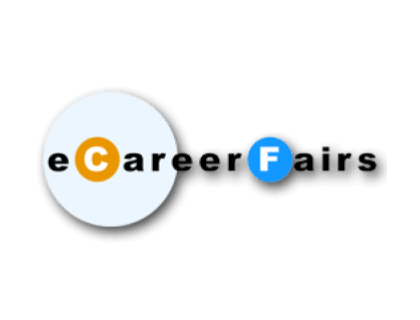 Where can I find the eCareerFairs login? Go to ecareerfairs.com and scroll to the footer menu on the homepage. Under the options "Job Seeker" or "Host Company," click "Sign in."